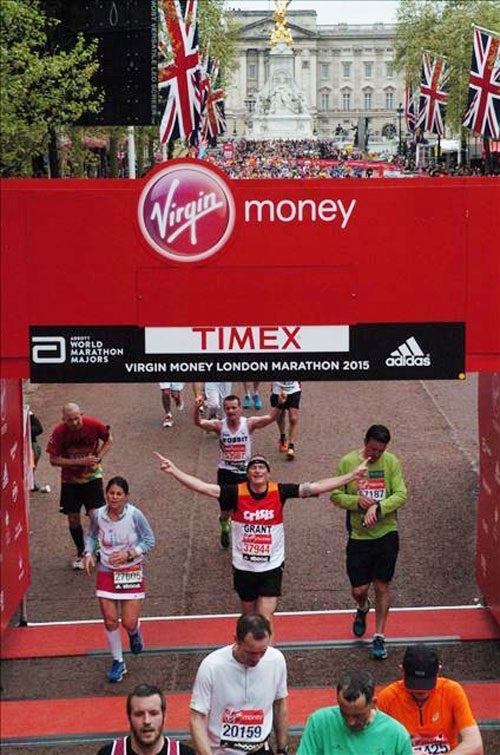 Earlier this year my cousin completed the London Marathon raising thousands of pounds for Crisis, a very worthwhile charity. This is a great achievement and I feel extremely privileged to know him. I am astounded and humbled by those ordinary people who achieve such extraordinary things every day. Not just the athletes, but people from all walks of life who do something so spectacular that it pushes them to their limits, takes every drop of emotional and physical reserve they might have and still they go that extra mile, generally in aid of someone else. They are the people that we as onlookers can only watch in awe and think, “Wow.” These are our everyday heroes. 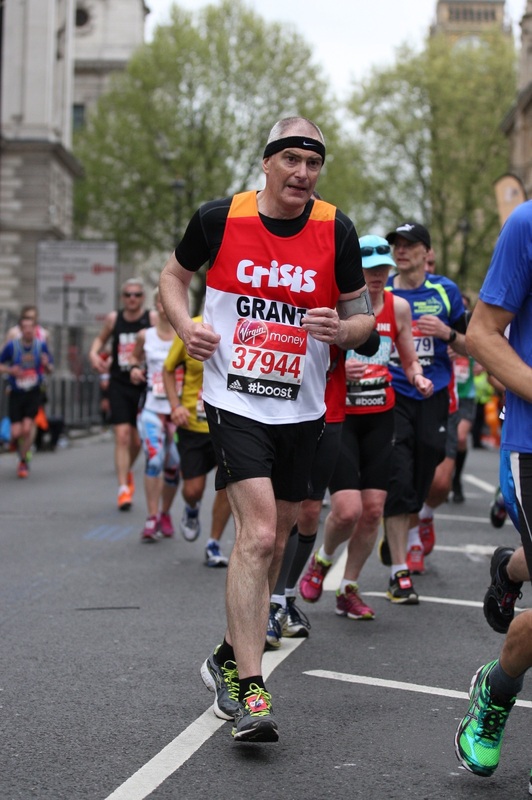 I aspire to one day complete a marathon so that I can understand what it is like to achieve such a formidable feat so was asking our Grant all about the preparation, training and the day itself. The most interesting observation that Grant made about the whole process was that of his experience of hitting the wall; the point of exhaustion that athletes feel when their muscles run out of glycogen stores having catastrophic effects on their physical and mental well-being. I had always thought that it was like running with a stitch: that if you stick your hand into the affected area, wiggle it about a bit and keep running you’d be ok (thanks to my high school PE teacher for that nugget of wisdom). However, what my cousin described to me was something much more debilitating. After about 20 miles, he felt this invisible wall appear in front of him, he began to feel as though it was continually pushing him backwards and so he had to use all of his strength to keep moving forward. As if this wasn’t enough, the surface he was running on suddenly started to have the consistency of melted tar, his legs became extremely heavy and almost incapable of movement in any direction let alone that of moving him forward in the face of the foreboding obstacle that only he could see. He said that he looked around for help and there was no one there to notice as the runners around him were focussed on their own performance and problems. He felt increasingly alone, then the mental battle began… The thought of having to carry on for another six miles was almost too much to contemplate; the feeling that it was just him and everyone else around him was surviving happily evoked emotions of inadequacy and inability; the thoughts of the charity he was representing, the family who were supporting him and all of the other people he would disappoint if he didn’t finish were at the forefront of his mind. An overwhelming wave of failure coupled with sheer exhaustion and the urge to just give up continually washed over him for the next five and a bit miles, it wasn’t until the last few hundred yards that he made it through the wall and out of the tar, putting his demons to bed. In the last sprints towards the finish line he saw a number of fellow runners collapsing, unable to move because their “wall” had beaten them. It was then that he realised he wasn’t fighting the wall alone, it was a personal battle though because for everyone the wall is different, it appears at different times to a lesser or greater extent but can be isolating and debilitating non-the-less. My cousin triumphantly finished the race in 3 hours 49 minutes which is a formidable achievement for anyone, let alone an old timer like him! However, the conversation about the wall taught me more than his achievements over 26.2 miles. 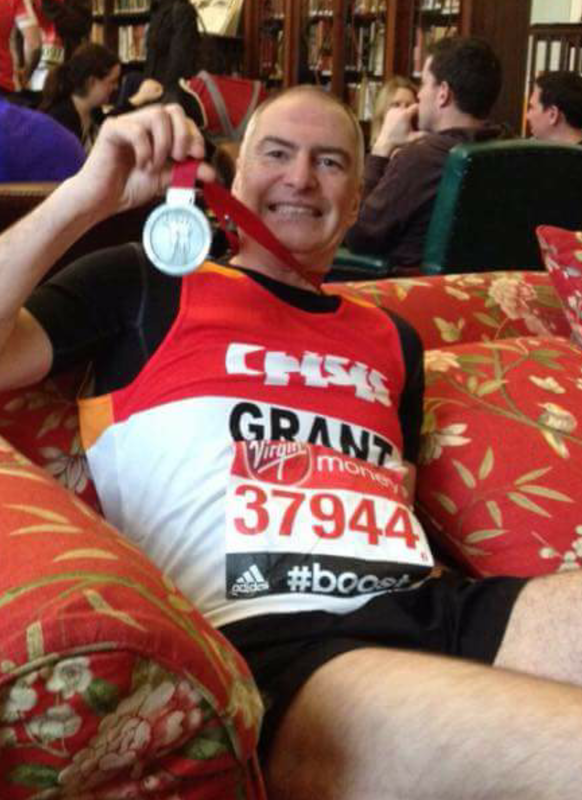 Grant’s description of his marathon experience is not a bad analogy of a teacher’s year or even career. Even though we have done our training, spent time preparing and have teams of supporters cheering us along, we are on our own. Even though there are thousands of people in exactly the same position as we are, the journey is a truly unique one. We can empathise with colleagues when they hit their wall but there is very little we can do to solve their problem. What we can do is look up and look around us. If it is apparent that a colleague feels as though they are running through tar at a point during the year just a kindly word or a friendly ear, a brew, a bar of chocolate and ten minutes of reassurance can help them to realise that they are not alone and not to give up. This is particularly important with teachers who are new to the profession or new to a school as they are completely out of their comfort zone. I find the danger weeks for most teachers are during the autumn and early spring terms. The last couple of weeks in October, mid-November and late January/early February are the times when we need to be aware of our own emotional state as well as that of our colleagues. Last week, I sensed myself hitting the wall, nothing seemed to go right but thankfully I have an excellent support network both inside and outside of the school environment which meant that I am coming out the other side. I am also resilient and reflective so I can recognise my energy levels depleting and put strategies in place to address this. Generally, a few early nights, a couple of pyjama days and a long walk it the Lake District solves most of my issues. However, if it wasn’t for the kind words of colleagues and the care of others, my five miles of discomfort might have been a much more difficult and lonely experience. Next week, take a look up from your own marathon and observe the runners around you, particularly new or vulnerable staff (not just teachers), if you see that they are hitting their wall give them your time because you have no idea how much it helps them get through their personal battle. Teaching is a marathon, it is a long and arduous task with many peaks and troughs, cherish the peaks and look at the troughs with a fresh perspective. A view through different eyes can highlight that the endurance of such things makes us stronger in the end, but remember… we don’t have to do it alone.